I have played Guild Wars 2 for some days now. I chose a female Norn Elementalist, Claudia Skullburn, who plays on the Desolation server. At the time of writing she is at level 26. Claudia Skullburn and a nameless human. You can see how big Norns are compared to humans. In Atlantica Online I feel time-pressured by licenses, by bonus weeks, by events and such. It is important in Atlantica Online to log in or to play on certain times. Guild Wars 2 has no time pressure. There is no schedule – pvp runs the whole time, licenses are non-existent and bonus weeks, ok… May be there will be some in the future, but I doubt that you really need them. Atlantica has nothing of that kind. In GW2 Vistas are points where you can trigger a short sweep of the ingame camera which zooms in or out of the neighbourhood and shows you the landscape in a very beautiful manner. Now that in itself is nice but nothing to mention further. What makes vistas interesting is that you get quite a lot xp if you discover one the first time. But what makes it really great is that most of them are cleverly hidden. To be more precise: the vistas are not hidden but the way to get there. For the majority of them you have to solve a jump-and-run puzzle which range from easy to very difficult (but my son can do them all). Some are funny and surprising (I remember fondly the one in Lion’s Arch which was impossible to do – until you asked a harmless looking bystander NPC who surprisingly had more to say than “carry on”: he offered you a kind of rocket rucksack). Some are simple, especially those in the starting areas. For me doing vistas is a very, very nice way to take a break from fighting – and it helps me levelling as well. In AO, when your party engages a monster group, this monster group is reserved for this party. The experience you get for killing the monsters is divided by the people who attack it. Except for quest items the loot is also divided according to one of the available schemes in the party window. In GW2 all is open. If you engage a monster, anybody near it can also engage it. And that is even beneficial: Not only it is easier to kill a boss with 50 people but also for everyone that kill counts. And everyone gets their own loot. It does not matter, if one guy is faster at the corpse. He may find loot or not, that does not influence if you do. In AO, lately the scaling of content was introduced. In the Valley Of Oblivion guild dungeon and in two nation dungeons the monster level adapts to the level of the highest main present. GW2 scales the content and you. Scaling of content means: If there are two players while an event starts, there may be 2 minions and the cave troll is quite weak. If there are fifty players there will be A LOT of minions and a super strong cave troll. This works in most cases beautifully but I have encountered very few spots in GW2 where this scaling is a bit unbalanced. Atlantica Online is easy. You may say, as level 150 cannon main, very well equipped, it is easy to say for me to say it is easy (and these repetitions of “say” and “easy” were intended, and you can’t prove otherwise). But my alts, especially Claudiana, are only averagely equipped and they don’t use blessing potions/licenses in normal fights, and it is still easy going in skirmishes and pve. Only TBS missions are a bit more challenging. In GW2 soloing or duoing is really difficult. You can do it, but you must pay attention. If you are standing around and are not of the Guardian/Warrior profession chances are that you are dead after one to three hits. Typically my elementalist dies after two hits. And while every character has a healing skill (with a much too long cooldown…), there are no healing potions. It is not so rare that you die even if you do pay attention. The recipe against a quick death is: MOVE. Strafe and kite and move and dodge and make a somersault to the side and move… It helps that you can cast skills while you move. Your skill in slot 1 even fires automatically when you have chosen a target, which lets you concentrate on moving while your character does the default attack. If you go with a large group the chances are better that monsters ignore you for a bit but it is still challenging because the content scales (see above). Luckily dying has nearly no punishment – the most embarrassing is that you have to respawn at a waypoint and run back. There is no analogon for dynamic events in Atlantica Online. In GW2 these dynamic events are really fun, at least the ones which include fighting monster hordes and/or bosses (and that is by far the majority of the events). Usually there is an event trigger, say, for example, stealing an item from a treasure chest in a cave. A stone near it transforms, and oops, it is a giant cave troll! A message appears in the top right for all who are somewhat near it, and in the map you see an orange circle marking the area which is now event-related. The cave-troll, unhindered, storms out of the cave and wreaks havoc to the fields of the nearby farmers, killing cows, destroying buildings and killing NPCs. When the event ends, the next event is triggered which will contain the task to rebuild the farms. But of course you and your comrades are there. With 50 people (or 2) you attack the cave troll, kill him and his minions in a adrenalin-pumped, hard fight, and you get the gold reward. Or the silver reward. Or bronze. The game keeps track how you perform in the event and grades you afterward, then giving out gold, karma (a currency which is a bit like Pointry points) and experience accordingly. You don’t have to apply: Simply be there and help. You are not enforced to help: you can always go and let the poor farmers die. And if the cave troll is dead, he waits to be reawaken by another poor sod who thinks this treasure chest is unguarded. There are quite complex event chains, involving centaur hordes conquering castles, brigands disrupting the water supply by bombing water pipes, which may or may not trigger different follow-up events, and several other well thought out things. While these events repeat themselves every time the “loop” of events is finished and a player triggers it again, it is still great fun to do it – and there are countless events, hundreds of them, in the game. In Atlantica you command 9 toons. Each of it has typically one, at most two, skills you can reasonably use. In skirmish you most often autobattle anyway. In TBS you have only 3 or 4 toons which limits your skill using even more. And pvp – you all know, that is not my cup of tea. At least not in AO, in GW2 it is way more fun. In GW2 you command only one toon. But she (she, because my character is female) has up to 9 skills at the same time. The skills 1 to 3 are the skills depending from the main hand weapon. The skill 4 to 5 depend from the secondary weapon (or shield, focus, warhorn…). If you wield a two-handed weapon like a great sword or Claudia Skillburn’s favourite, the staff, the slots 1 to 5 are all filled with this weapon’s skills. The slot 6 is for one of the possible healing spells. The slots 7 to 9 are weapon independent. They are called “slot skills” and you can (at least when you have levelled up sufficiently) choose between lots of them. My character, being an elementalist, has a special way with skills which I like very much. Claudia Skillburn can choose the element she is attuned to: fire, water, air or earth. And depending on the chosen element she gets corresponding skills for her weapon(s). For every weapon skill slot (1 to 5) Claudia gets not only 1 skill from a certain weapon but 4. That means that Claudia can switch in-battle between fire (with nice meteor-strikey skills), lighting (with shocking skills), water (skills often with aoe healing effects) and earth (blinding, crippling, slowing). For people who like to try out skills the GW2 skill system is far superior to the AO skill system. Oh, and have I already mentioned that the skills for a certain weapon are very different if another profession uses the same weapon? Atlantica Online has a huge world with a lot of maps. They look quite nice, if a bit static. Most often there are NPCs standing around and monster groups who walk very slowly like animated zombies. Some of them get a running animation and will aggro you. The maps are open: if you enter a certain map you can see on the mini-map all what is there to see. GW2 has an even huger world with lots, and lots, and lots of maps. They look stunning. There are NPCs standing around, but some of them move around. They chatter with each other. Monsters are behaving quite intelligently. They sneak up to you, attack you from behind and do all kind of other nasty things. The maps are not open. You discover one portion after another, and only if you enter a segment of the map yourself it is shown in detail what’s in it. In AO you choose one of nine professions (staff, bow, gun, cannon, instrument, sword, axe, spear, saw). You have a very limited choice of hair styles, faces and colours. Then you give your character a name without spaces (no “Claudia Skullburn”, instead an ugly name like “ClaudiaSkullburn”). In GW2 you choose one of five races (Humans, Norn, Silvari, Charr, Asura), then one of eight professions (Elementalist, Mesmer, Engineer, Guardian, Warrior, Ranger, Thief, Necromancer). You have an extensive choice how to design your char. It is like in the game “The Sims”. You can even alter the width of the nose bridge, the angle the nosetip has related to the upper lip, the thickness of your eyebrows – practically everything. And you can use blanks in your name, yay! That is the reason my character’s name now is “Claudia Skullburn”. But that is not all: there are several questions asked during the character generation sequence, and every answer has an impact on your own personal main quest. In AO the typical quests goes like this: Go to NPC, get a task, execute the task, go to NPC, get next task etc. Now the hype of GW says, that it has replaced quests by dynamic events. That is only partially true. There ARE quests (the so called “Renown Hearts”) but they are cleverly disguised. First: you don’t need to visit the quest NPC. If you are in the area designated for the quest, the tasks will appear at the top right (like the quest list on the top left in AO, but much better designed, with mouseover tips and all). Second: You typically don’t get one task, but all tasks for this quest. For example farmer John could expect you to flatten holes in the ground, repair his sprinklers, kill vagabonding brigands and shoo some cows into their pen. Every time you do something from this catalogue your progress bar will fill up until John is satisfied. You can choose to do all four things in equal parts, but if you like you can fulfill the quest with only killing brigands – your choice. And third, when the quest is done you get a mail with a thank you from the quest giver (including the reward) instead of turning the quest in, as you have to do in AO. Now that is painless questing as I like it. And while the quests HAVE repetitive elements, they are much better designed than the AO counter parts. I expect to be the game a lot of fun until maximum level. But what if I have explored all maps and events and dungeons (there are dungeons but I haven’t tried one yet)? May be I come back to Atlantica then. This game has an item shop. So far there is nothing in it that could be seen as a “must-buy” (teleporting is an in-built feature in GW2, blessing would not help if you move clumsily, auto-battle is simply not possible, mounts and wings are non-existing, clothes have no stats and can only be used in towns). There are two items, though, who would be useful, like another bag slot. Inventory space is no real problem so far but I don’t know how the game will look like in the later levels. At least you have no problem to store crafting materials because you can always send them to your crafting material collection which is practically infinite in space. But AO has shown me how an item shop can look like. I don’t want this in GW2. Claudia if u still remember me, I’m Zues in Requem. 1) No pressure, never felt any of that sort in Atlantica (except for birthday lol) but thats because I simply don’t do events where there is a lot of pressure. The pressure I do like in atlantica is the timed TBS runs where you have to use tacttics and hard work to get it finished in time, thats good pressure. 2) Sounds really goood, what I really dislike about the atlantica game engine is the short view distance, it simply doesn’t have to be that way these days, I trust GW2 doesn’t suffer from the same issue. 4) Ok, here is where I have some misgivings, where does the sense of achievement go? You play for two years, get to level, say, 80, and finally tackle that BIG boss, only to find a level five fighting alongside? Call me elitist if you will, but thats the point of paying a long time and getting to be a high level, so you can take on the difficult jobs. I think AO has it just right with the scaling, you have areas where it takes a big tough party to succeed, and you have areas where scaling comes in because of the nature of the area. A guild dungeon should be accesible to all level guild member, their difficulty is in the fact that the guild needs a lot of members cooperating to finish it, same with nation dungeons, these areas should be scaled, but the world in general? Hmmm…NO! 5) Challenge? Yes I agree to some extent Atlantica was bad for that, but having discussed these issues with a friend who also plays I have come to the conclusion that its a game mechanic at fault, and that is level restricted areas. I always felt that areas shouldn’t restricted by level, if a level 5 wants to wander in to Silent Detroit let him, pop up an advisory warning that level 105 is recommended, but let him, he’ll find out soon enough he is out of his depth. Same with TBS etc. See point 4 for my misgiving about world spanning scaling, I suspect it will be a problem for player longevity. 6) I love the sound of that. 7) Skills, I have played lots of MMO’s, lots of different skill systems, some good, some bad, I wouldn’t change games just because of a better skill system, but it sounds interesting. 8) Moving around. Ok, you know my pet hate with many games, its the lack of exploration challenge, I like to explore, I like to look see whats down that canyon, around that corner, across that stream (even if it kills me). While AO is good for moving around, there is NO mystery, every dungeon is marked by a “here is a dungeon” sign. I would be quite happy playing a game with NO map at all, I would draw my own if I needed one, in fact I have played an MMO like that, great fun exploring, thats what most MMO’s lack for me, the sense of mystery and exploration, how well does GW2 hold up there? 1) Endgame, this is the problem I feel they are going to hit really quickly with world spanning scaling, is there an end game when every level can access endgame events and areas? Look forward to further comment, the fact that you comment on possibly coming back to Atlantica indicates this very strongly. 2) Item shop. I have played lots of MMO’s and seen many different item shops, the best I have seen was in one game where the item shop was an ingame feature. You could charge up your account with real money and spend that, you could also save up your ingame money and convert it to item shop gold to buy item shop items, the best of both worlds. People who wanted that great item NOW could charge their account and buy it straight away,players who were poor or ion areas where they couldn’t charge up their item mall acount could dave up ingame money and eventually but what they wanted. But to be honest, if the gameplay is really good I could care less about the item shop, the game market yes, item shop no. 3) Yes it is a worry, but not much we can do about it. Now you missed something, crafting, I think AO’s crafting system to be poor at best, annoying and irritating at worst. Again seen a ot of different systems, some good, some bad, some awful, AO’s is not the worst, but it is close! I would really like to read yor opinion on the crafting system. I can craft Peg guns in AO, but a Peg gun is a peg gun is a peg gun, apart from the various +’s they are ALL the same, I have used crafting systems where the type of material used changes the weapon attribute, and where top crafters are like gods, they had secret sources of materials that could only be dug up at certain times of the game year, or looted from killing certain animals, it was a SKILL. Crafting in AO is just a matter or luck and money, luck to get a +, money to afford to raise your crafting skill. Sorry about the length, I did get carried away! Zues: Yes, I remember you quite well. GW2 has a lot of waypoints in every map. You can teleport freely from one waypoint to any other waypoint in the world. Of course you must discover the waypoint first. You have also to pay a modest fee. Imagine a travel agency set to 1% at every point where a tp license would transport you – that would be the AO analogon. Claudia, thanks for the writeup. Very glad you are having fun in GW2, we all miss you in AO as well. As a favor, can you please log in and check mail in AO? Thanks. Yes R, We miss Claudia and Ellen and all of ppl fro mErMei :( greetings!! Scaling only works downwards. If you are in level 40 you can do the level 15 area and have fun because you will be downscaled to 16. But if you are level 15 you won’t be upscaled when you visit the level 40 area. You CAN enter it but you will die there pretty fast… So you still have achieved something when you reach a high level. And higher levels can visit dungeons (which are like raids in WoW or super-TBS-missions with a lot larger maps and more decisions). There are roughly 20 regions, each divided in several maps and each of those divided in segments. You only see the names and the recommended level of the region, otherwise it is blurred. You uncover the map segment for segment, when you enter it (or meet a spy who helps a bit). In every map are some “points of interest”, vistas and skill challenges to do (besides the obvious, i. e. Renown Hearts aka quests and events). To get to these and get the xp connected with them takes a little extra exploring. Sometimes a huge little extra, because not only vistas but also the POI and the skill challenges can be quite difficult to reach. For a mmorpg it holds up pretty well in the mystery map area. See above (concerning scaling). You won’t be able to survive in higher areas for very long. So you can’t got there as level 5 guy. But what happens when you have reached level 80 and finished the complete map? There is always pvp (which is very nice in GW2, but it remains pvp), and the dungeons to do, but if that is enough only time will tell. You can buy gems (the Nx of GW2) in-game and then buy the fancy aviator glasses with them which nobody needs (and which you cannot even wear in battles). I made a top 10 list but GW2 has more than 10 features. So some had to be left out. Crafting is one of them. GW2 has crafting, and it has nice ideas in it. It is cheap and there is no workload to grind. If you have the mats you can craft it nearly immediately. One of the nice ideas is that you have discover the recipes. That works very well, much better than I expected. But I am not far enough in it to be able to give a final opinion about it. Basically you can craft all kinds of gear. You can even craft your inventory bags, and the higher your crafting skill is, the more spots they have for items. Weapons and armors are tier-bound like in Atlantica. But you can craft every item with an additional inscription/insignia, so that they have one additional attribute, like +10% critical hit or so. And every equipment part has an upgrade slot. There are some things like sigills and jewels with which you can customize your weapon further. While that is better than in atlantica, it is not the full weapon/armor modifying frenzy I know from other mmorpgs. Oh, and there are no plusses. You just cannot compare two games that are 4 years apart by any other criteria other than management. So, yeah, GW2 might OWN and be awesome etc., but AO also owned and was awesome and stunning and beautiful when it was released… FOUR YEARS AGO. Huge time considering game development. 4 years development typically means better graphics, larger play area, better player interaction, its says NOTHING about player enjoyment, AO was, and still is, a good game to play despite being 4 years behind GW2 graphically and technology wise. Yes we can compare the two games, because we are comparing player enjoyment, not bling. Unfortunately AO is suffering from bad management, not a being a bad game, there’s a difference. It may well be that GW2 suffers from the same affliction in the end, here’s hoping not. To be honest. I dont like gw2 at all. I considered trying GW2.. Claudia likes it and I have typically agreed with his assessment of a lot of good/bad things about AO. Then NCsoft decided to kill off another game I have played for 8 years (City of heroes) which seems to be doing quite well. That decision left me strongly against buying any other NCsoft title.. that they would throw away that customer loyalty with no thought makes me shy away from investing more time and money with them. Fool me once, shame on you.. The cash shop, way too pricey. The bad management – bots, exploits, hacks etc. The total lack of common sense from the company regarding the last events: An IM event (fishing), an strong nation/strong might event (Babel) and an 140++ event (the dungeons we got now). In the end, same ol’ thing. Classical Theme Park endgame, where there’s PvP and a few dungeons and raids. There’s not even the gear as a carrot-on-a-stick. Did it too many times to be fun anymore. I reached max level in the first two weeks I think? Can’t remember, things was proceeding too fast. Actually too fast until I ran out of motivation, or something else that gives me satisfaction to play longer. Last weekend I didn’t login GW2 at all despite I love it so much at the start and during all the betas (played since BWE1). Just now, I logged in for like 15 minutes. My guild is pretty big, asked for dungeon run… *dead silence*. Check the map chat (was in Charr map), *dead silence*… What the Fxxx? Finished a few events, and log off. Now, I come back to play AO after 1 year break instead. How come it turned out like this??? I think I can sum it up in two simple word: POWER & EYE-CANDY. I must also confirm that I expected more from GW2. It just doesn’t give you that much enjoyment as AO. I’m playing GW2 just partialy and not more than one hour at once. AO just have something that no other MMORPG is offering. And it is really mistery to my that there is not single game out there that you could consider real replacement for AO. quote// AO just have something that no other MMORPG is offering. And it is really mistery to my that there is not single game out there that you could consider real replacement for AO. Yeah, I am in the same thought. Here are two things: first, western turn based games such as Heroes of Might & Magic. The VI game was……. boring. I played V and it’s extension multiple times; but VI, I didn’t even went pass the 3rd mission… Totally wasted $60 and now the DVD is collecting dusts. Second, if it one place you’ll find more turn based game, then it’s China/Taiwan. I started my MMO era on a flash website MMO called “Neverland” a translated Chinese game, it was a fun to play simple game, I meet a lot of nice people in there. After that, I step into AO. In GuildWars2, what I was expected is just what the developer said- dynamic world which changes on our action. Problem is, we’re now given a static world, events loop every 10 minutes… And nothing really changed since I started playing on August 25th… I gotten boring of what’s going on in the game, nothing surprising, dragon fights every 3 hours, same karma farming events in Cursed Shore or Straights of Devastation… People getting pissed off by dungeon system and some bad players’ behaviors (read Reddit and you’ll know why), loot “diminishing return” anti-farming code that punish actual player more than punishing bots… Bugged events all over the place… Not really a smooth start, really. 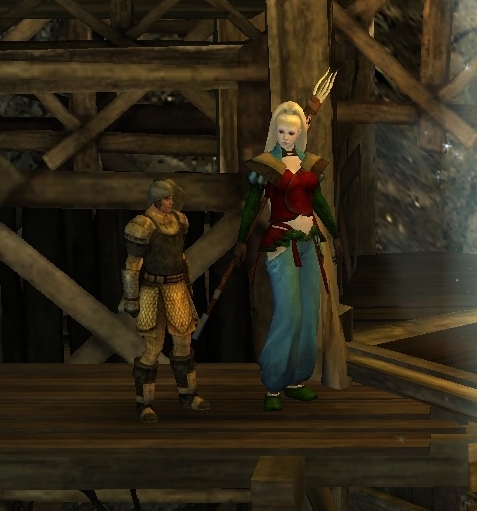 Turn-based MMORPGs: For me a dream game would be Guild Wars 2 but turn-based. And with a decent (that is: more difficult) levelling experience and a gear treadmill (but not that steep as in Atlantica Online). And yes, dynamic events need an overhaul. While they do chance small parts of a map, the concept deserves to be explored much more. And especially the higher level ones are very often bugged. You seem to have met a bad crowd, though. In my guild and in map chat the people are friendly and helpful (well, map-chat-wise: most of them). And while I know that there are people who get pissed off by the dungeon system, I can for the life of me not understand why. The same people would HATE TBS missions quite intensely. Because TBS missions are a pale and much too easy shadow of what a GW2 dungeon is. Not that those are flawless. Diminishing Returns: That is in fact a bad idea. But as the developers said on the forum: it is temporary. And I am very rarely affected by it because I don’t farm so intensively. quote// For me a dream game would be Guild Wars 2 but turn-based. Hehe… I would loves to see Atlantica Online 2.0 Dimension Meltdown… Just stupid name came up in my mind.